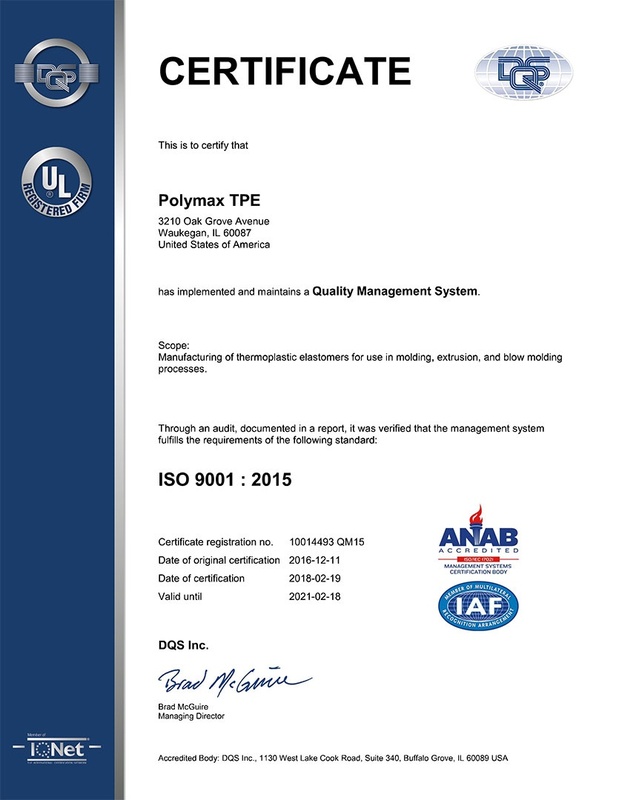 PolymaxTPE is a company in Waukegan, IL that produces exceptional thermoplastic elastomer materials. We cater to the plastic requirements of manufacturers throughout North America, Asia, and Europe. Our professionals ensure that each product undergoes TPE manufacturing of the highest standards. 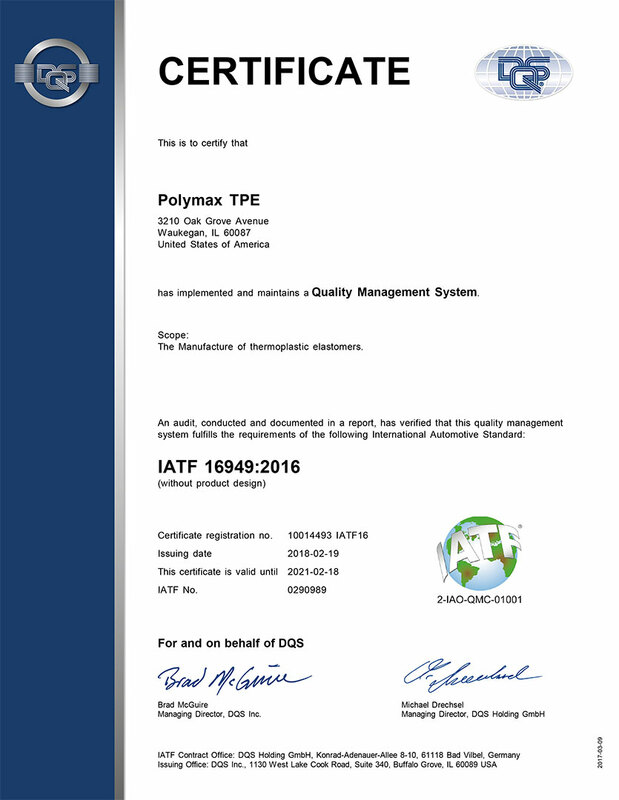 Read on to learn more about PolymaxTPE qualification. We are currently compiling information for this page. Please visit our site again soon. In the meantime, feel free to browse through the other pages of our website to learn more about our premium elastomer materials. Should you have questions about our products and TPE manufacturing process, please get in touch. You may reach our professionals via phone or email for your inquiries. Better yet, visit us in Waukegan, IL to speak directly with our specialists.